You are here: Home » Blogging » Should I Buy or Sell on Contingency? While your Loft is on the market, and you find your dream Loft (or at least the perfect “next” Loft), it is tempting to place an offer on the new place to hold it until your Loft sells. Unless you own the Loft you are selling free and clear, or can afford two mortgage payments, selling on contingency is the only option. Or, you’re the seller and a buyer wants to make a contingency offer on your Loft. Do you accept it? The more difficult type of contingency for both buyer and seller is the one that relies on the buyer selling his own Loft before completing the purchase of the new Loft. How does a first Loft sale contingency work? For buyers, this sort of contingency is mostly a win/win scenario. If their current Loft does not sell, or the sale falls through for any reason, they do not have to complete the purchase of the new Loft. This protects the buyer from having to pay two mortgages at once. Even so, the buyers typically must place earnest money on the purchase of the new Loft that they will lose if the sale falls through. They also forfeit costs of Home inspections and appraisals, bank fees and other expenses. Without a contingency, however, contractually they would be on the hook for the complete sale price. Conversely, the seller also has some protection in this case since he can continue to market his Loft, and if the contingency falls through, he keeps the earnest money. If, during the contingency period, the seller receives a second offer on the Loft, the original buyers with the contingency have a specified time—typically 24 to 48 hours, or even up to 72 hours in some agreements—to settle the contingency and purchase the new Loft. 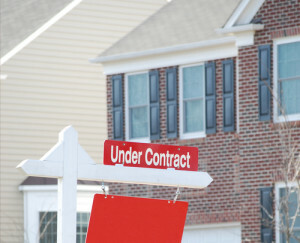 If they are unable to do so, the seller is free to terminate the contract and accept the new offer. Do they have a preapproval letter from their mortgage company? Do they have a contract in place on the sale Loft? If not, is their current Loft already on the market? If so, has it been on the market a long time and is it priced to sell? We can investigate the likelihood of the sale completing, so when you do receive a contingency offer you can be confident in your decision whether or not to accept it.